The Doc McStuffins Mini Clinic Playset – A fantastic mini doctor’s case that includes a thermometer, a syringe and 2 casts for Lambie! That’s not all though! This special doctor’s playset also comes with exclusive Doc and Lambie characters and a book of boo boos hidden under the patient’s bed! Doc McStuffins has become a Disney household name over the past year or so, along with Lambie and her friends she is fixing one soft toy a day at a time. Everyone: Time for a Checkup, time for a checkup! Toys: Time for a checkup! With the mini clinic playset little ones are able to set up clinic and pop a cast or two onto Lambie, take her temperature and even give her some medicine via a syringe. The playset is aimed at children age 3+ and with the small parts and effort it takes to get the casts on and off as well as opening the case to reveal the clinic. The recognisable Doc bag, opens to reveal the mini clinic with removable bed, the case doesn’t allow you to keep the back open at a right angle so ideally needs to be propped open against something. The case itself is a little tricky for Tigger to open by himself so keeps asking whoever is closest to open it for him. Unfortunately all whilst you can fit Lambie and the Doc’s supplies inside the case Doc McStuffins does not fit so if you are taking it out and about you have to make sure that you don’t leave Doc behind. Priced at £9.99 and available from Amazon and coming to other good toy retailers soon. 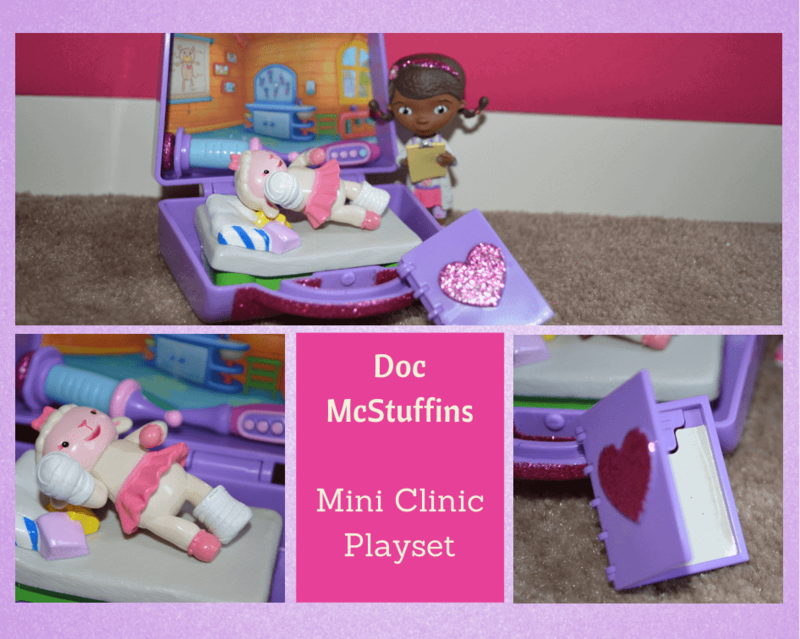 Disclosure: We received a Doc McStuffins Mini Clinic Playset FOC for the purpose of review.